Zhyphen Mini-Grids oﬀer the beneﬁts of a grid-based solution with the potential for harnessing renewable energies at the local level. Zhyphen Mini-Grids oﬀer rural electriﬁcation in developing countries or off grid locations. Our containerised Mini-Grids Storage Solutions are proudly built in the UK & can then be shipped worldwide as a conventional container. Zhyphen energy storage systems offer a true turn key solution which is particularly important in developing countries where local ESS skilled technicians are scarce. 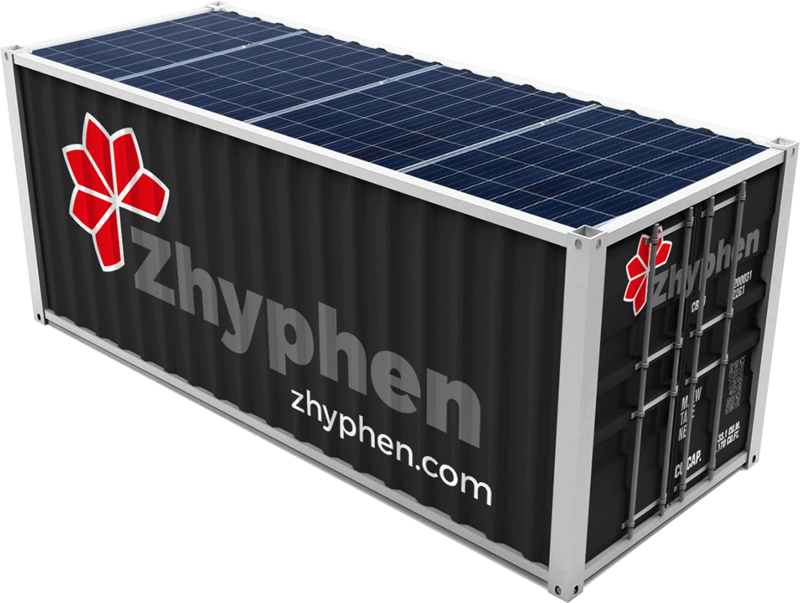 Zhyphen mini grids can be connected to solar, wind turbines, local grids or as Hybrid.